While reviewing some of my graduate Econ notes, I saw these two theories of migration. 1. Once begun, international migration tends to expand over time until network connections have diffused so widely in a sending region that all people who wish to migrate can do so without difficulty; then migration begins to decelerate. 2. The size of the migratory flow between two ountries is not strongly correlated to wage differentials or employment rates due to the falling costs and risks of movement. 3. As international migration becomes institutionalized through network, it becomes progressively independent of the factors that originally caused it, be they structural or individual. 4. As networks expand and the costs and risks of migration fall, the flow becomes less selective in socioeconomic terms and more representative of the sending community or society. 5. Governments can expect to have great difficulty controlling flows once they have begun, because the process of network formation lies largely outside their control and occurs no matter what policy regimes is pursued. 6. 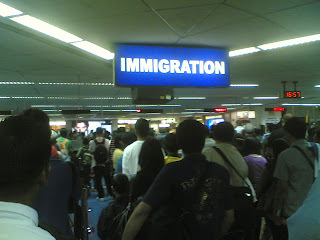 Certain immigration policies, however, such as those intended to promote reunification between immigrants and their families abroad, work at cross purposes with the control of immigration flows, since they reinforce migrant networks by giving members of kin networks special rights of entry. 1. As organizations develop to support, sustain, and promote international movement, the international flow of migrants becomes more and more institutionalized and independent of the factors that originally caused it. policies met with resistance from humanitarian groups. I think both theories reinforce each other. The network among migrants, potential migrants and returning migrants allowed and encouraged the formation of institutions and support groups that respect or encourage more migration. Of course there are also groups and institutions that want to limit if not ban migration, say from a certain country or cultural/religious group, towards their country. But the latter are just reactions to the successful entry or wave of migrants. I also like the implications and conclusions made by both theories, that governments (of both origin and destination countries) will have difficulty limiting or controlling migration. People move out in pursuit of freedom, and people in destination countries accommodate migrants also in pursuit of freedom. Like they want freedom from "dirty" and time-consuming work like taking care of the oldies in their homes, in hospitals and homes for the aged, so they take in migrants to do such work at a rate much lower than if they get locals. Migration is freedom and freedom connotes migration and mobility -- within and outside one's community, province, country or continent. The goals of governments that control or limit migration are mainly bureaucratic and to raise more state revenues. There is big money involved in the various visa application fees and procedures.